I am completely devastated as i write this. There are no words to express just how much Lee, as he was known to friends and family, will be missed. Perhaps one of the most colossal losses to the world of fashion. 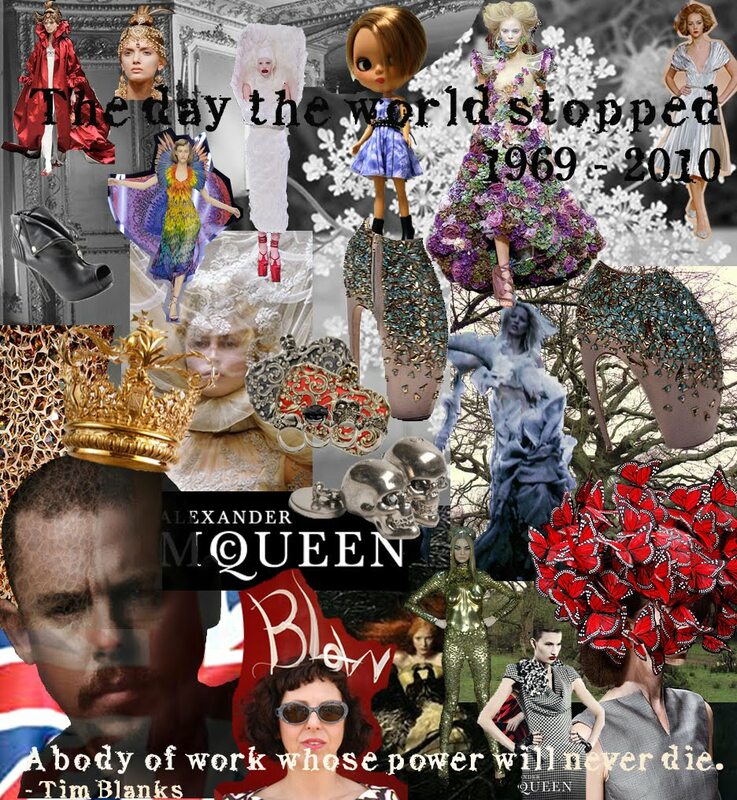 Gone way before his time, McQueen leaves behind a legacy of capital impact. He was one of the great ones. This tragedy breaks my heart. did you make this collage?! It's unreal!!!! i think my heart stopped when i read on twitter what had happened. I did a little outfit tribute post today.